Illusionism is the view that phenomenal consciousness (in the philosophers’ sense) is an introspective illusion — that introspection misrepresents experiences as having phenomenal properties. This view has many theoretical attractions, but it is often dismissed out of hand for failing to take consciousness seriously. The aim of this volume is to present the case for illusionism, discuss objections to it, and stimulate debate about this important but relatively neglected position. The book, which is a reprint of a special issue of the Journal of Consciousness Studies, takes the form of a target paper by the editor, followed by commentaries from various thinkers, including leading defenders of illusionism, such as Daniel Dennett, Nicholas Humphrey, Derk Pereboom, and Georges Rey. A number of disciplines are represented, and there are commentaries from critics of illusionism as well as supporters. The collection is tied together with a response to the commentators from the editor. This collection first appeared as a special double issue of Journal of Consciousness Studies (Vol. 23, No. 11–12, 2016). Philip Goff, Is realism about consciousness compatible with a scientifically respectable world view? Nicholas Humphrey, Redder than red: Illusionism or phenomenal surrealism? Georges Rey, Taking consciousness seriously — as an illusion! 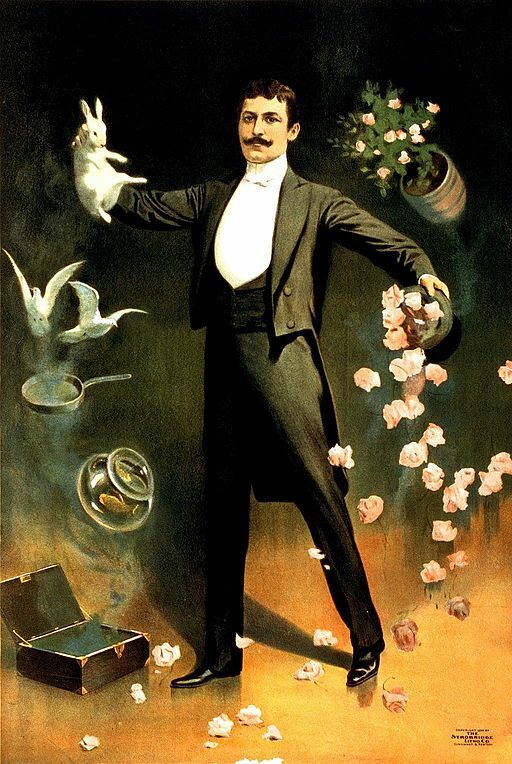 James Tartaglia, What is at stake in illusionism? Zan Zig performing with rabbit and roses, including hat trick and levitation. Advertising poster for the magician (who seems to have left no other trace behind). If anyone can tell me more about the subject, please contact me. Is it Julius Zancig? Copyright © 2011-2019 Keith Frankish - All Rights Reserved. The image in the banner is a still from Georges Méliès's film 'Un Homme De Têtes'. The font used is Monthoers by Agga Swist'blnk.